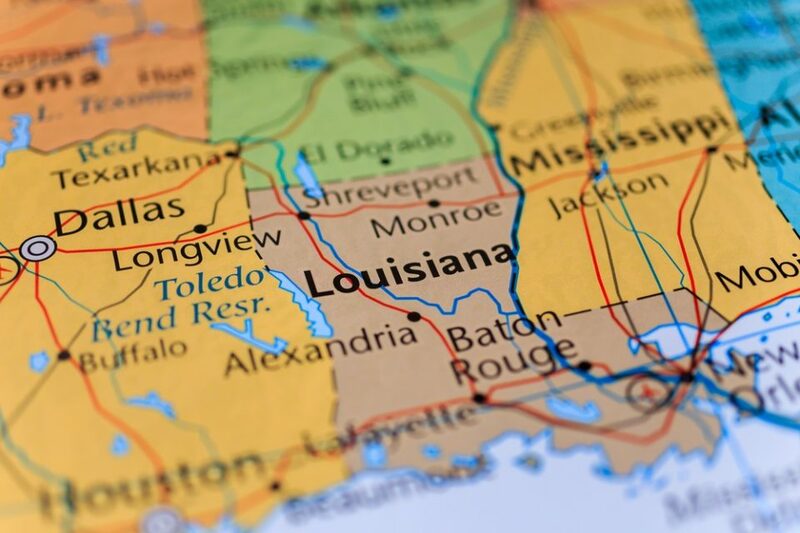 Louisiana lawmakers held a colorful hearing Wednesday in Baton Rouge to lay some more groundwork on the sports betting issue ahead of the next legislative session. The state considered several bills this year, but lawmakers didn’t pull the trigger. “We think it’s important that we take a deeper look at this because we know we’re going to see it again,” said Louisiana State Sen. Gary Smith, a Democrat. The Senate panel stressed that there wasn’t any official testimony at the hearing, but rather informal talk on how to keep Louisiana ahead of the curve. Currently, just six states have active sports betting industries. Jones reiterated the fact that the Board has remained neutral to sports betting legislation, despite the fact that “Mississippi got the jump on us again.” The Magnolia State launched sports betting Aug. 1. “My colleague from New Jersey, David Rebuck, recently sent letters to those operators and said, ‘you’re not licensed in New Jersey.’ Whether or not that is enforceable, I like the fact that he did it,” Jones added. “If the tax rate is too high, it won’t be productive from a business standpoint,” he added. According to Jones, Louisiana has been in this position before. “There is a huge illegal market out there,” said Jones, later pointing to the state’s early 1990s move to regulate video poker gambling, which, according to Jones, squashed that black market. Mississippi to help its rival? Making an appearance at the hearing was Allen Godfrey, Executive Director of the Mississippi Gaming Commission. “As I set here and listen, it sounds like this is too much effort for y’all to do,” Godfrey joked in his first comments to the Louisiana Senate panel. The hearing room erupted in laughter. The camaraderie in the room didn’t mirror the intense casino competition that is apparent in state gaming revenue reports. Mississippi’s casino gambling market contracted 2% last year, while Louisiana’s was flat with less than 1% growth. Godfrey explained that his state’s sports betting industry began with efforts to regulate daily fantasy sports. In explaining how Mississippi advanced into the space, Godfrey told the panel that they looked to New Jersey more so than Nevada as a guide. The comment is noteworthy because Nevada has had sports betting for decades, while the Garden State’s industry is about four months old. Godfrey got the room to laugh out loud once again when he mentioned that Mississippi sports betting has increased casino visitation, while also assuring the panel that they aren’t Louisiana license plates. State Sen. Danny Martiny, a Republican, asked Godfrey why his state didn’t launch mobile sports betting along with the brick-and-mortar offering. Martiny said that he believes that when Louisiana legalizes sports betting, Mississippi will go into mobile. So, according to Martiny, there is competition between the states. Godfrey said he couldn’t “speak for the legislature,” but he said that mobile betting in New Jersey is “tremendous.” Sounds like it’s just a matter of time for Mississippi going online. “If you want to suppress illegal betting, mobile is the way to go,” Godfrey said. Godfrey and Martiny exchanged comments briefly about whether sports betting constitutes an expansion of gambling. Martiny took a shot at his own state. “In Louisiana, we consider putting new cushions in the [casino] seats an expansion because someone extra might show up,” said Martiny, who unsuccessfully tried to push sports betting this year. He’s clearly not too thrilled that Louisiana will have to wait until 2019. According to Godfrey, nothing can be done to completely stomp out black market betting. While that may be the case currently, his comment implies that the landscape could be very different once the culture changes. With that said, he stressed to the panel that sports betting needs “convenience” in order to largely wipe out the black market. According to the American Gaming Association, the casino industry’s top lobbying group, Americans bet as much as $150 billion each year on sports. Sports betting could help the New Orleans economy, according to Sen. Norby Chabert, a Republican. “New Orleans is a major destination city for the biggest sporting events on the planet,” Chabert said. “What will [sports betting] look like in the city where the big game is?” he asked rhetorically. Chabert cited this week’s roughly $1.6 billion Mega Millions “frenzy” as an indicator that a gambling public could fall in love with sports betting in a similar fashion. The 2019 Sugar Bowl runs on Jan. 1, so Louisiana casinos will have to wait until 2020 for that opportunity. According to a slideshow presentation for the panel, a mature and regulated Louisiana sports betting market would generate between $245 million and $288 million in annual revenue. Nevada’s decades old sports betting market won about $250 million in 2017, but it’s still growing. Mississippi reported more than $6 million in sports betting revenue during its first two months in business. September’s betting handle of $31.7 million was a fivefold increase month-over-month. No vote was taken at the hearing, which included a total of about one hour of sports betting discussion.